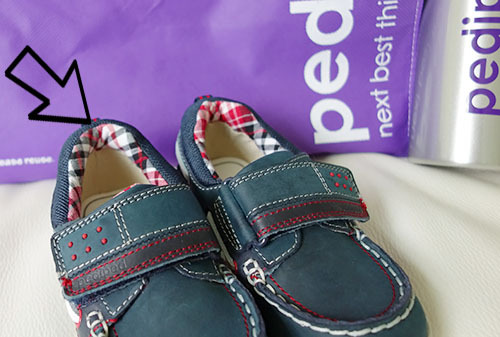 PEDIPED SHOES (ORIGINALS & FLEX) REVIEW | Beverly's Net: family. food. fashion. 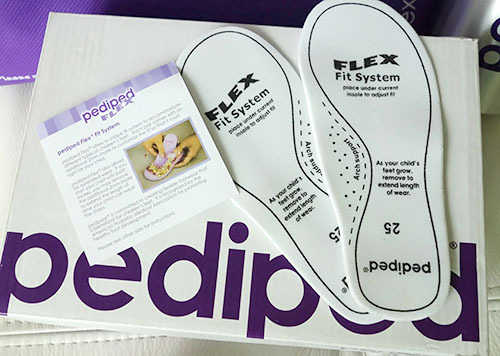 PEDIPED SHOES (ORIGINALS & FLEX) REVIEW – Beverly's Net: family. food. fashion. I’m very particular when it comes to shoes my kids wear. Whilst I appreciate a great variety of clothes, I’m much fussier when it comes to their footwear. 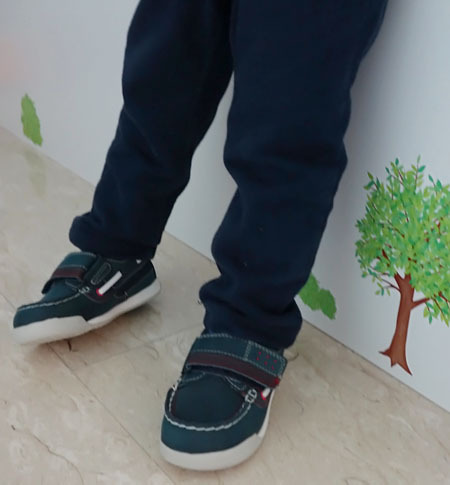 I figure, when a kid is learning to walk (and through to their early years of walking), it’s critical to wear shoes that promote correct gait and are comfortable. 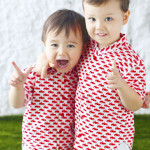 And.. ummm.. let’s not forget… THEY HAVE TO LOOK CUTE! 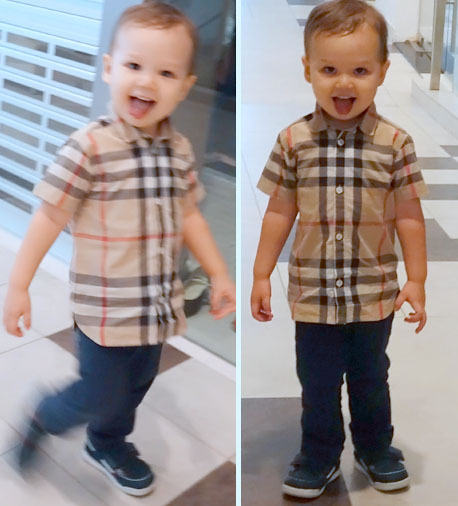 I can think of about 4-5 specific brands that I gravitate towards, for the sole reason(s) that they do ‘proper’ shoes that cater for my young kids, and that they have a variety of designs that are cute. 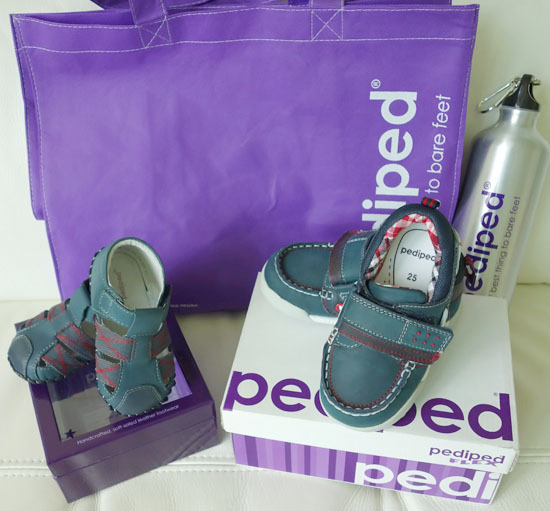 PEDIPED is one of the brands that I like, and my kids have worn a number of their shoes. 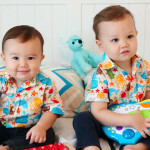 But check out THESE new designs that the nice folk over at PEDIPED sent over! 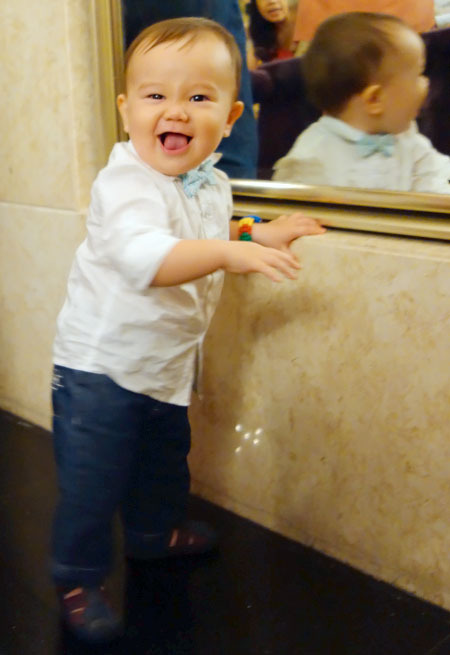 Carter has just started taking his first few steps in the past month or so, and previously he was wearing those thin leather shoe/sock things with just the leather fabric at the bottom (ie. no real sole). 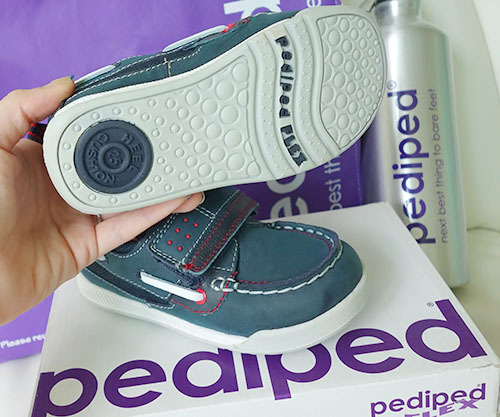 So the PEDIPED Originals – Aaron navy sandal is perfect for him – the soles are slip-resistant and water-resistant leather that provides great grip, but easily wipes clean. My fave part is the back-of-the-heel cushioning. I don’t know about you, but for me, a lot of shoes ‘bite’ me at the back. So I always wonder if my kids would feel the same. These PEDIPED Originals have a soft cushioning, which I’m really pleased with. It must also be said that Carter has….. extremely fat feet. They’re like little round balls of dough that I stuff into shoes. These accomodate his feet well and leave no marks. And, man, these babies are FLEXIBLE! See? 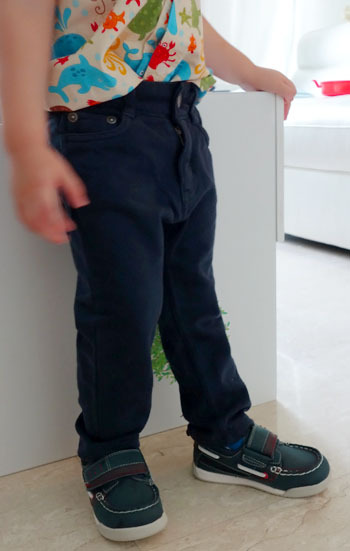 These PEDIPED Flex – Flipper Navy boat shoes are his first pair of ‘boat shoes’-style, so I approached with trepidation. 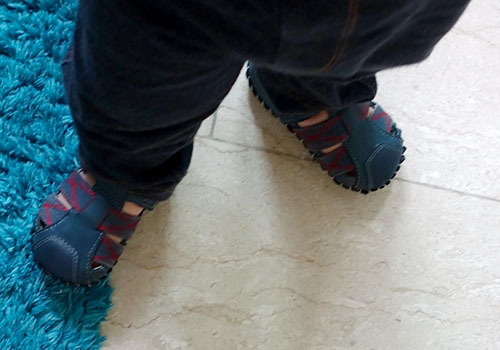 He’s v happy to pop them on, and admired his feet… turning this way and that so he could have a good look at the nice stitching and design. Finally, he declared “NICE SHOES”. Hunter’s mark of approval!!! These babies also have the same soft cushioning at the heel, which makes the shoes really comfy IMHO. 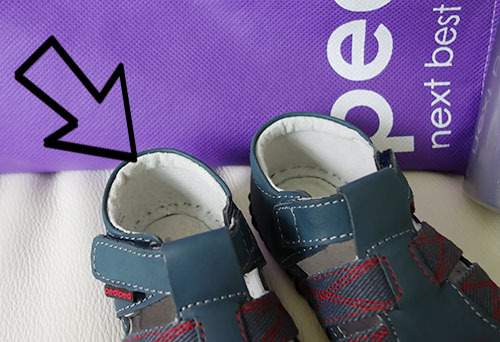 The PEDIPED Flex range have a cushioned arch with a sturdier sole to last through his walking/running. And true to its name, they flex! Nowhere near as much as Carter’s shoes (because those are a super thin sole), but more than many other shoe brands. Personally, I like to flex them back and forth when they’re new, to ‘loosen’ and soften up the sole. My favourite part about this PEDIPED Flex range is this sole insert that comes free in the box. I didn’t expect it so I was really delighted!! They are designed to make a snugger fit, so you can buy shoes one-size-up for your kid, and simply slip these inserts in. Then just remove them when your kid’s feet grows. Such a simple idea, but makes a big difference when you’re slapping down good $$$ for a pair of good shoes, and want them to last for as long as possible. Co-incidently, Hunter wore these exact same shoes when he did his ELLY modelling stint in January this year. Back then, I admired the shoes but never got round to buying them, so I’m really happy he has them now! You’ve probably seen posters around in shops here in Singapore, but from now to 15 September 2013, PEDIPED Singapore will be hosting the “Purchases with Purpose” sale for Make-a-Wish Foundation (Singapore). 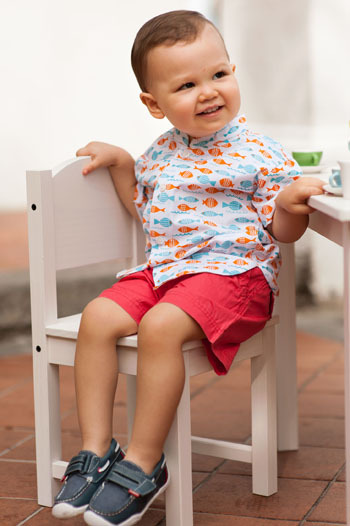 At their online store only, you’ll find PEDIPED shoes that are reduced up to 70%!! 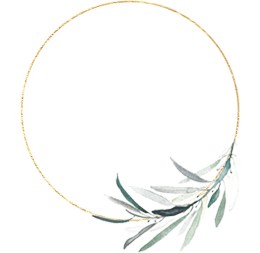 Plus, half of the sales from this fundraising event will go to Make-a-Wish Foundation® Singapore to provide help for children in need. I’m kinda eyeing these babies though: PEDIPED Amazon Navy Adventure Sandal. My girl friend mentioned that these are awesome as they can be machine-washed (!!!). 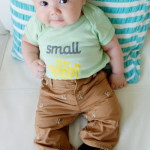 I’m eyeing those washable ones… they’d be fab for Hunter! !